I intend to investigate the nature of communal self-reliance activities and their relationship with institutional politics through the history of organic farming in South Korea (hereafter Korea). My thesis will be based on the case of Jeongnonghoe, the first organic farming association created in 1976. The case of Jeongnonghoe will allow me to investigate the creation of a rural autonomous community under the authoritarian government of the 1970s. 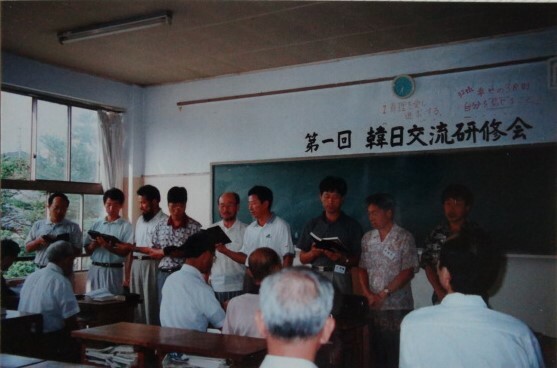 Jeongnonghoe (正農會), which means ‘the association of righteous farming’, was created in 1976 by a group of non-mainstream Christian farmers of the Non-Church Movement and the Plymouth Brethren. The creation of Jeongnonghoe was directly influenced by the visit to Korea of Kotani Junichi, the founder of a Japanese organic farmers’ association, Ainoukai (愛農會), who gave a lecture on the harms of chemical farming. Mr. Kotani, as a Christian, preached that chemical farming is against the will of God, and urged the audience to convert to organic farming. Impressed by his lecture, Jeongnonghoe’s founders created their own association in order to practice God’s way of farming, and the Bible became its articles of association. In my thesis, I intend to focus on Jeongnonghoe’s role in the beginning of organic farming movement in the 1970s’ South Korea. The normative characteristics of organic farming in Korea are most obvious in the fact that Jeongnonghoe members started organic farming under economic and political disadvantages. Early members recollect that apart from the extra labour it required, organic farming was financially damaging, especially for the first few years. As such, organic farmers were often ridiculed by other farmers as a group of lunatics, and alienated from their village communities. More seriously, the local authorities under the military government faulted them for not following the government’s agricultural policies that promoted chemical farming. They were suspected as communists and kept under surveillance, with local policemen attending their meetings. Finally, when organised farmers’ movements emerged to fight for farmers’ rights beginning in the late 1970s, they criticised Jeongnonghoe as a reactionary group of farmers who worked to supply rich people’s demands. Jeongnonghoe’s adherence to organic farming in this difficult situation shows the significance of their normative approach to farming. Understanding the nature of its normative aspect, which is a central research subject in my thesis, requires further research on its historical background and intellectual collaboration behind. The historical continuity of organic farming’s normative aspect in the Korean context originates from Jeongnonghoe’s close relationship with the Pulmu School – the first agricultural high school that taught organic farming, which has historical roots in the rural development movement that began in the early 1900s. The link between organic farming and these rural development projects was suggested by Paik (2011), based on the kinship between Lee Seunghoon, the founder of Osan School (est. 1907), and Lee Changap, the founder of Pulmu School (est. 1958). While Osan School was famous for its modern education and strong support for Korea’s independence, Paik (2011) argues that the school was a part of the bigger project of building autonomous and modern rural communities; specifically, communities independent of the colonial government’s rural mobilisation project. The link between organic farming and the rural development movement suggests that organic farming goes beyond being a set of alternative farming techniques: it is a socio-political activity. In the Korean context, it is important to remember that the state has had a strong influence on rural society. State development plans, from the Agrarian Development Movement of the Japanese colonial government to the New Village Movement of the military regime in the 1970s, have never recognised the autonomy of rural communities, consistently regarding rural areas as subjects of economic and political mobilisation. In a sense, the conflicts between Jeongnonghoe and the local police likely revealed inherent tensions between institutional politics and local communal activities. In my thesis, linking organic farming and rural development provides a fascinating opportunity to study the tradition of autonomous rural community building in Korea. Finally, the intellectual collaboration between Korean and Japanese Christians has been important in shaping the normative aspects of Jeongnonghoe’s activities. In addition to the Pulmu School, another important group in the creation of Jeongnonghoe was the Pulmu Farm, founded by Won Gyeongseon. The Pulmu Farm, named after the Pulmu School but not affiliated with it, was created in Bucheon in 1955 as a self-help commune for war orphans and homeless people. 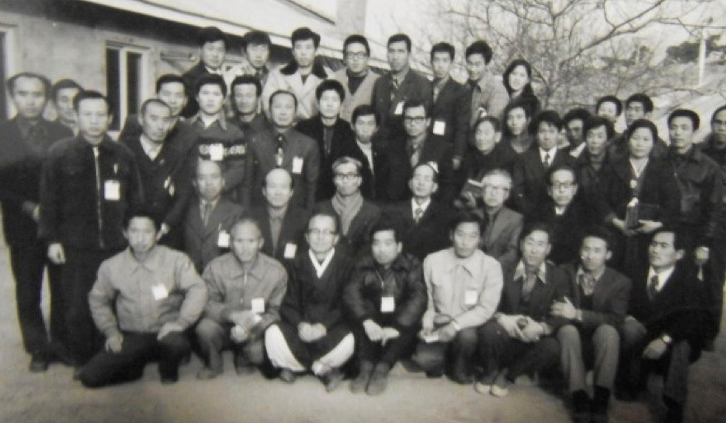 While the Pulmu School was based on the religious beliefs of the Non-Church Movement, the Pulmu Farm was influenced by Gidokdongsinhoe (基督同信會, Kirisuto Doushikai in Japanese), a Japanese faction of the Plymouth Brethren church. 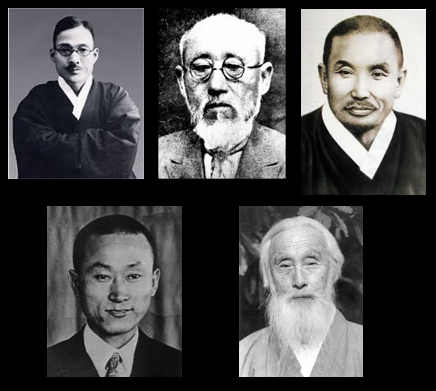 The Non-Church Movement and Gidokdongsinhoe are similar in their Japanese origins, marginal status among Korean churches, and most importantly, in their egalitarian traditions. Both factions are known to oppose the hierarchical order and customs within the mainstream church organisations, and both are predicated upon evangelicalism. The similarities of these two factions seemed to have helped the people of the Pulmu School and the Pulmu Farm to build the cooperative relationship that became the foundation of Jeongnonghoe. Their shared Japanese-origin Christian backgrounds no doubt also helped to cement the association between Jeongnonghoe and Ainoukai. Won Gyeongseon wrote that he was moved by reading about Kotani’s passion for organic farming, and therefore decided to visit him in 1975. The ideals of the Pulmu School and the Pulmu Farm bear a striking resemblance to Ainoukai’s goal of rural reconstruction after the Second World War, its integration of education to train future community leaders, and its reliance on Christianity as the basis of organic farming. Overall, I argue that the tradition of civilian rural development movement and the intellectual collaboration between Korean and Japanese Christian farmers explain the political nature of the organic farming movement in South Korea. More specifically, organic farming movement in the 1970s’ South Korea started as a pursuit of alternative rural development which was shared by Korean and Japanese Christian farmers. So far organic farming movement has been considered as a sort of consumer movement driven by consumers’ demand for safe foodstuff. In my research, I intend to shed light on the political aspects of organic farming movement in South Korea. 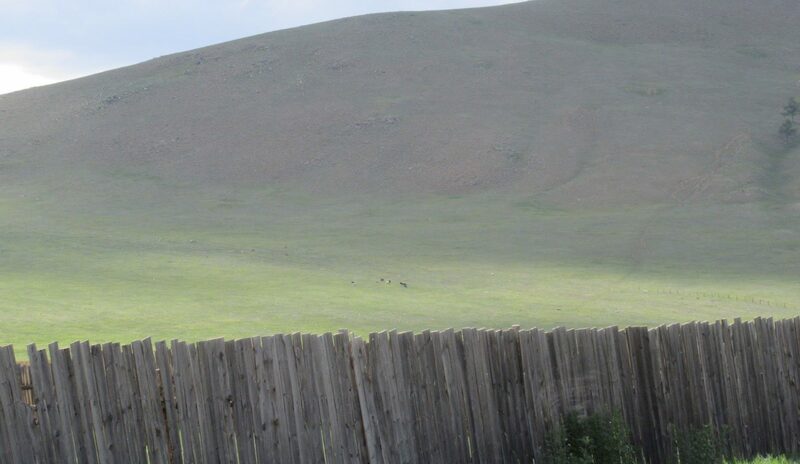 In doing so, I intend to contribute to the project’s goal of developing the concept of informal life politics by focusing on rural autonomy and self-help in the organic farming movement. These two factions were similar not only in terms of their marginal status among Korean Christian churches, but also in holding egalitarian ideals in opposition to the hierarchy within mainstream Christianity. Ainoukai was created in 1945 by Kotani Junichi (小谷純一), a former high school teacher in Wakayama. He also founded Ainoujuku (愛農塾) to train future farmers in the region, and published Ainou (a magazine) and Ainoushinbun (a newsletter) to spread his idea of an ideal rural society. See Kotani Junichi, Nongbuui Gil: Ilbon Aenonghoe Godani Junichiui Haneul·Ingan·Ttang Sarang, trans. by Sunmyeong Hong (Geumulko: Hongseong, Korea, 2006), p. 221. Ainoukai’s model of integrating farming, education, and publication was followed by Jeongnonghoe. Gyeonghyangsinmun, ‘Pulmuwon Wonjang Won Gyeongseon: 7 (Naui Jeolmeum, Naui Sarang)’, 18 May 1998. It was only in the late 1980s that consumers began to pay a premium for organic products, and organic farming began to be viable as a business. Han, Gyeong Ho, ‘Hangukgidokgyo Saengmyeongnongeobundongui Jeongaewa Gwajeong’, presented at the first Korean Christian Life Giving Agriculture Forum, Asan, Korea, 3 November, 2005. According to Paik (2011), the Non-Church Movement was spread by Uchimura Kanzo’s Korean pupils, who later taught in the Osan School. Paik also points out Uchimura’s great interest in a Danish model of rural development on which he modelled the Non-Church Movement’s rural development project. Hangugilbo, ‘[Naui Iryeokseo] Saengmyeong Pulmukkun Wongyeongseon <19> Jeongnonghoeui Gyeolseong’, 9 September 2003.